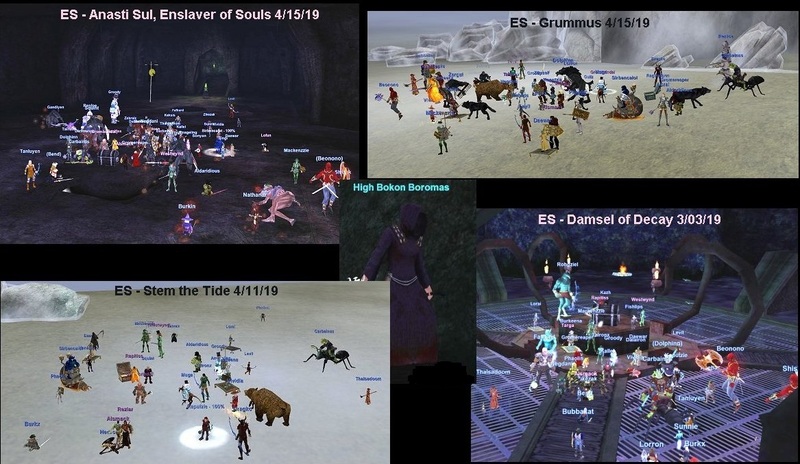 Eternal Sovereign continues to Raid the Ring of Scale and The Burning Lands expansions. Lately we're also going back to The Broken Mirror for those Vanquisher achievements to finish our EYES OF LIFE AND DECAY Augs. We've won some Raid Firsts in the process. We're always Recruiting, so Join Us if you love to raid! Sathir's Tomb: The Crypt Robber's Clues Deciphered! Our Raid Force and an elite "Hail" team worked hard to figure out what was taken and why, and then we eliminated that Robber. A very smooth victory today and a nice Birthday present for our Guild Leader Kazh. Happy Birthday guy, we appreciate your dedication and hard work for us all these years. Kor-Sha: Assault on Atrebe – The Kar’Zok are Down! We're farming RoS, but we went back to ole' Kor'Sha tonight. We danced between the Banner and the Campfire for awhile, and then we won! Bummer we got no shields this time (new DB bug), but a Win is a Win. Nicely done Raiders. Congratulations to our Raiders on a 3rd Raid Victory in the RoS Expansion.